Buying dive equipment can be really exciting! There’s nothing like being able to use your own gear, tailored to your own needs, in the water for the first time. 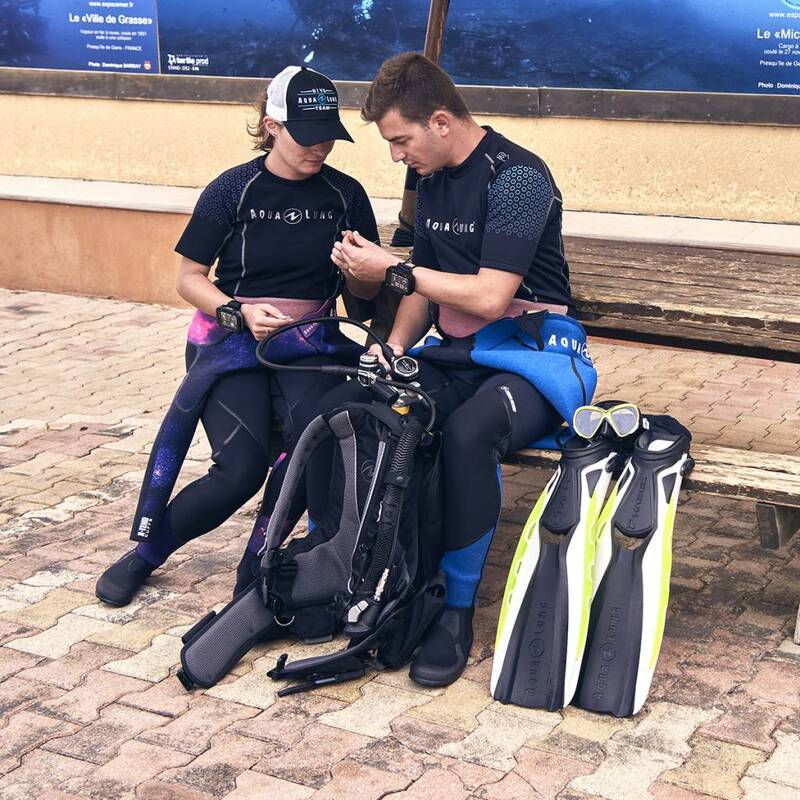 Total Diving is committed to making sure the products you choose are perfect for your style, size and adventures. That’s why we decided to write a quick guide to choosing your own Buoyancy Control Device, or BCD. There are tons of advantages to owning a BCD instead of using the rental stock, such as having a better fit and better features for you to enjoy. However, none of that means anything if you can’t have the right BCD! Here’s how you can choose the best BCD for you. Easily the most important aspect of buying anything new! If it doesn’t fit, it’ll be uncomfortable, and every diver knows that being uncomfortable underwater can ruin a dive completely. BCD’s are sized a lot like jackets, with sizes usually spanning from XXS to XXL (+). Finding the right size is the first step, but it’s also important to pay attention to if the BCD is too long or too short. Make sure you try on the BCD with a tank so that you can see that you have the proper length. Another great tip is if you just can’t seem to find a BCD that fits perfectly, try looking into styles that allow for added adjustability, like the Apeks Black Ice. With more customization around the waist area, the Black Ice can really enhance your experience underwater. BCD’s used to really just be big, bulky vests. Diving technology has come a long way since those times. One of these innovations is creation a vest specifically tailored for women. These vests are far more comfortable for women because the weight of the cylinder is placed on the hips rather than on the back and shoulder muscles, like men’s BCDs. The curvature of the BCD, specifically near the underarms, hips and around the chest area, is designed to fit a woman’s figure for maximum maneuverability underwater. Women’s vests are also sometimes streamlined to feature less bulk around the wings, which adds to overall comfort. That being said, we encourage men and women to try a variety of vests on! There’s a reason why women’s vests were created. Also, the colours are usually available in both a pink or purple, or all black to match your gear. Jacket Style or Back Inflate? 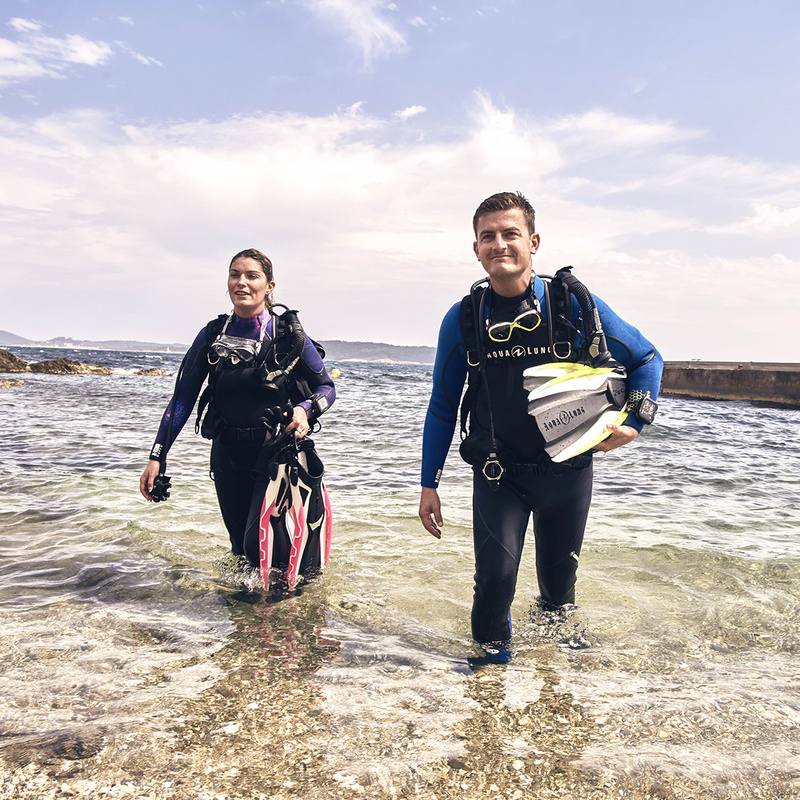 The two most common recreational diving BCD styles are jacket style and back inflate, and there are pros and cons to both models! A jacket-style BCD is commonly found in rental services, which means that you’re probably used to using it. The air bladder is found in the back but also the sides of the jacket, which makes it easier to rest on the surface when waiting to go down. When choosing the right size, jacket styles are very comfortable, however ones that don’t fit can cause a lot of problems. Make sure that you aren’t being squeezed, or that the shoulders aren’t riding up. Back inflate BCD feature an air bladder solely on the back, which makes for a more streamlined fit. Keeping a horizontal position underwater is far easier with this kind of BCD, but it can be tricky to get used to at first. Our recommendation is that you pick what’s most comfortable for you! If you’re convinced that a jacket-style BCD is perfect for you, then why not stick with it? However, if you’re looking to improve your buoyancy skills and become a better diver overall, back inflates are the best way to practice your technique underwater. Make sure you talk to some of your friends about their preferences, so you can hear from them too. Most BCD’s these days come with an integrated weight system. If you’ve ever used an Aqua Lung BCD, you’re probably familiar with SureLock technology, which is a quick-release weight system. The alternative to an integrated weight system is the classic weight belt. Both methods have their advantages, but ultimately it depends on who you are and where you choose to dive. If you prefer to be down south in the warm sun with a 3mm shorty, using an integrated weight system is perfect because you don’t have to think about that extra weight belt. If you prefer to dive in the cold with a drysuit, an integrated weight system is great but you may need an extra weight belt regardless. 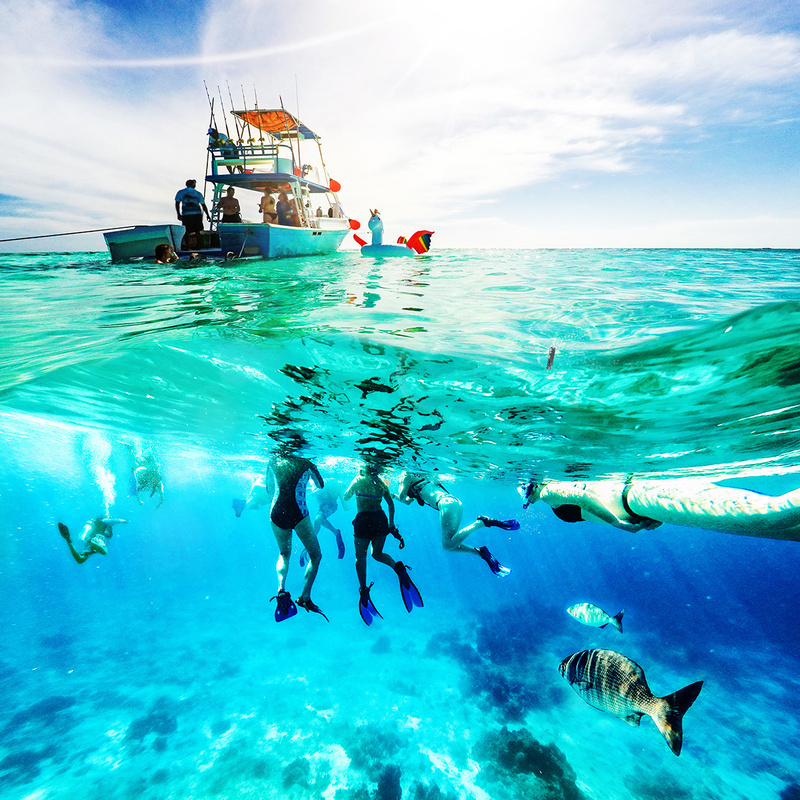 Another way to decide what kind of BCD you need is if you’ll be doing a lot of travelling. Choosing a lighter BCD can be greatly beneficial if you’re a frequent flyer. There are even BCD’s made for travelling, like the Aqua Lung Rogue. This BCD is modular, so the parts can be put together and taken apart by the user, which not only makes it lighter and easier to travel with, but it also makes it more comfortable if you can pick the parts! Aqua Lung’s patented i3 system is an innovative new buoyancy control system where instead of having a traditional inflator hose, there is a lever stuck to the side of your BCD that moves up and down. The BCD still fits and feels the same when it’s on you, the only difference is how you inflate and deflate while underwater. Move the lever up to inflate, or down to deflate your jacket. The inflator hose is inside the system so that you can inflate or deflate in any position. Also, the lever is sensitive and will release air depending on how far its moved up or down. This makes it easier to quickly or slowly inflate and deflate, unlike with a traditional system. There are quite a few advantages to this system, which can be found here. The traditional inflator system, however, is a favourite among many divers. Also, the i3 is really only meant to be used recreationally, so make sure you pick a system that’s appropriate for your style. One last piece of advice: Make sure to bring your BCD in for maintenance once a year! Keeping your equipment in good shape will make it last longer, keep it comfortable, and ensure that you won’t have any malfunctions. Happy diving!